Flipkart is back with yet another sale which is called as Flipstart Days Sale. Commencing from today onwards, this special sale from Flipkart will run till April 3, 2019. The 3-day sale brings up to 80 percent discount on smartphones, appliances, electronics, gadgets and other household products. This sale is an excellent opportunity for the buyers looking to purchase electronic products, gadgets, appliances, apparels and various other products at discounted price. 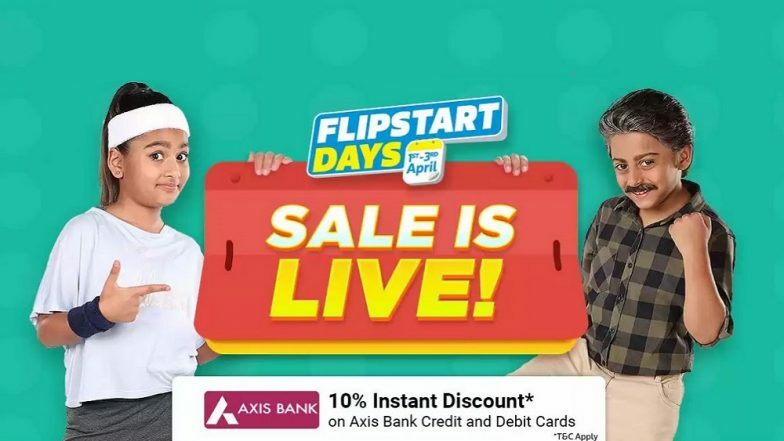 As a part of the sale, Flipkart has partnered with Axis bank wherein the customers using Axis Bank credit and debit card holders will get a discount of 10 percent. Apple iPhone 11 New Render Image Leaked Online; To Feature Dual Pop-Up Selfie Camera. The Flipstart Sale from Flipkart brings exciting deals on performance laptops that are offered from Rs 34,990 onwards whereas the buyers can get 60 percent discounts on Bluetooth headphones. Moreover, the best camera products are on Flipkart starting from Rs 19,990. The best selling tablets are available from Rs 5499 onwards. As far as the home appliances are concerned, there are attractive offers on Televisions, Air conditioners, Washing machines, refrigerators and several other products. The customers making transactions through Axis Bank debit or credit cards will get discount of up to 10 percent. However, the customers will have to shop for at least Rs 2999. This offer is also available on grocery shopping too wherein the customers need to spend at least Rs 1499 on grocery outlets. Apart from these offers, Flipkart also provides excellent deals for EMI transactions.